BANDAI NAMCO Entertainment Inc. and LINE Corporation announce the release of LINE: GUNDAM WARS, a smartphone game based on Mobile Suit Gundam, via the LINE Games platform. The game can be downloaded from the App Store and Google Play. 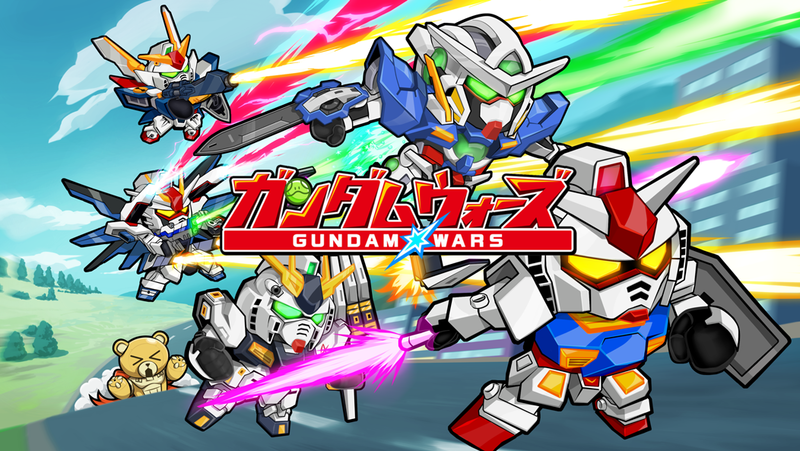 LINE: GUNDAM WARS is a “Newtype” Dash Battle Simulation Game in which players can enjoy heated offensive and defensive battles with teams of five Mobile Suits. The two campaigns which began in June were both successful, and contributed to building excitement amongst users towards the game’s official release. Since its commencement on June 20, 2016, over 500 thousand users had participated in the pre-registration campaign when it ended on July 13. As for the retweet campaign which began on June 24 via the game’s official Twitter account, 10 thousand retweets were recorded in just seven days. To celebrate the achievement of X pre-registrations and 10 thousand retweets in their respective campaigns, all players who log into LINE: GUNDAM WARS receive five Pilots featuring voice recording playback*1, 85 diamonds, 3000 Coins, and various items that increase a Mobile Suit’s experience level. The gifts can be obtained from the in-game feature Gift Box*2. *1: The Pilots featuring voice recording playback obtainable as a reward are Heero Yuy, Setsuna F. Seiei, Kira Yamato, Kamille Bidan, and Amuro Ray. *2: Users are encouraged to obtain rewards at their earliest convenience as their provision may be terminated without prior notice. In this game, Mobile Suits with six different characteristics —Attack, Defend, Support, Block, Recover, Versatile— are assembled to fight in battles together. They switch between vanguard and rearguard according to the course of battle, and players wait for the right timing to make them produce flaring special attacks. While the wide array of animation patterns recreate the world of the animated series, the cute and colorful design of Mobile Suits makes them approachable to all users. By sending Mobile Suits equipped with a Pilot of various skills to battle, the Pilots help to fight the battle, enhance their Mecha’s performance, and exert their skill in other ways. Furthermore, if players have their sound turned on, they can listen to famous dialogues from the animated series while watching a display of special effects when a Pilot-equipped Mobile Suit produces a special attack. Note: Certain characters do not have voice recording playback. By collecting blueprints that come with every Mobile Suit, players can obtain new Mobile Suits once the required number is reached. Players can also collect blueprints of Mobile Suits that they already own to upgrade them, increasing their status and making them even more powerful during battles. Blueprints can be obtained by clearing missions as well as from Draws. *The information in this press release is the latest information available at the time of release. Please note that the contents may change without prior notice. *Separate data fees may apply when using this application.